So, I am just gonna be honest, I am kind of bummed out about this post. My mom is having a big easter party today, and she asked me to make this super yummy recipe of hers. I don’t know why it didn’t occur to me when I was at the grocery store to get something Easter-y to decorate these with. I’m not worried about it for the party really, cause everything will be decked out, so it won’t matter that it is just pink with strawberries. But, I was photoshopping my film, and I can’t help but hear Florian, from cupcake wars, in the back of my head saying, “You just really missed the mark on presentation. So for me it is a no.” I’m serious! British accent and all. Oh well, enough about presentation, on to taste. This is an awesome recipe. It’s one of the hundreds my mom has collected over years and years, and is not exactly what you would expect. It’s both nutty and fruity. I prefer walnuts, so that is what I used instead of pecans, and I don’t put nuts in my cake, just the frosting. To me, it is way to overpower if there is nuts both in the cake and in the frosting, just nobody tell my mom I said that 😉But that is just a personal preference. Either way this recipe is so super yummy. If you don’t care for nuts, your probably not going to want to try this recipe. But if you like strawberries and you like nuts, the flavor together is one that does not disappoint. Enjoy and I hope y’all have an amazing Easter!! Lightly grease 9 x 13 inch pan, or line cupcake pan with paper liners. Preheat oven to 350 degrees. 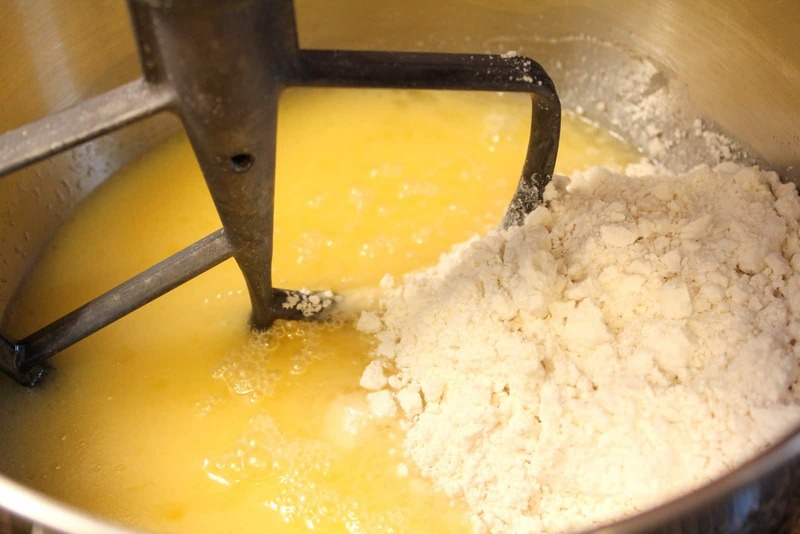 Beat eggs, oil and milk in a large mixing bowl. Add the cake mix and jello and mix well. Fold in coconut, pecans, and strawberries. Pour batter into baking pan, or fill cupcake liners 2/3 the way full. Sheet cake bakes for 25-30 minutes, and cupcakes bake for 16 to 18 minutes. Mix butter and cream cheese in a medium bowl. Add powdered sugar and mix until well blended. Fold in coconut, pecans and strawberries. 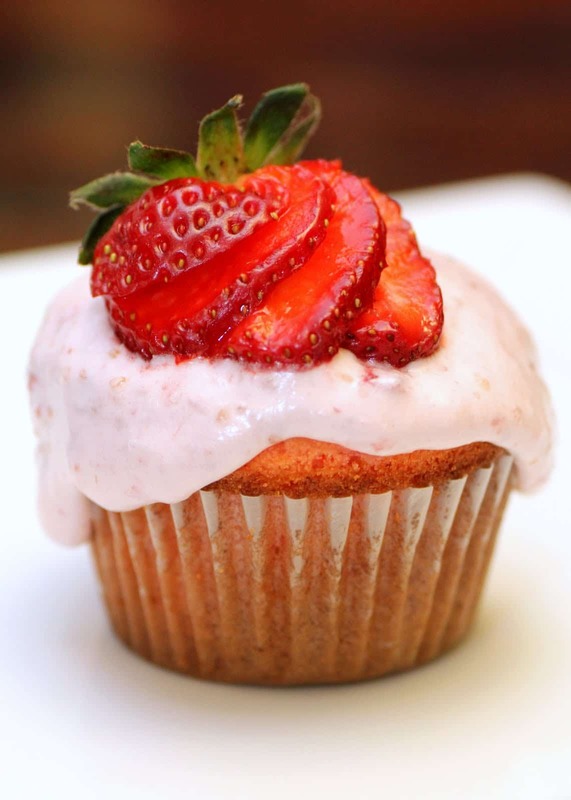 To make your frosting more smooth, especially if you are making cupcakes, then finely chop the strawberries and put the coconut and pecans in a food processor. Frost cake after it has completely cooled.